Drive gets a great animated fan tribute! Enjoy the coolness that is the tribute below. tribute to drive from tom haugomat & bruno mangyoku on Vimeo. 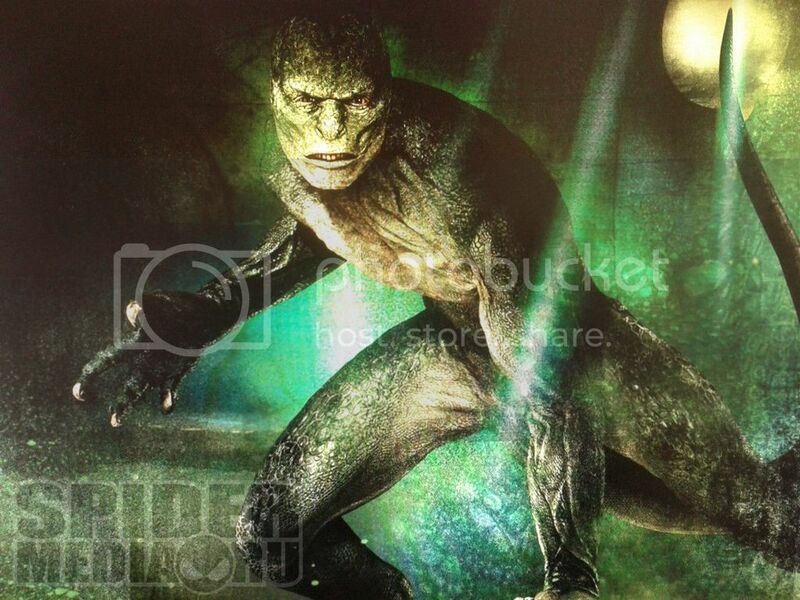 Comingsoon.net has posted a sneak peak of webheads new feature film nemesis, Lizard, as he will be seen in "Amazing Spider-Man". Interesting design, perhaps a bit too subtle, but it's good that they didn't stick with villains we've already seen. Listen to 6 Tracks from the US remake of Girl with the Dragon Tattoo today! SoundCloud is hosting 6 tracks from Trent Reznor's score for the US remake of "Girl with the Dragon Tattoo". Enjoy! As we slowly test the new spam guards we've put in place we will be turning features back on as they prove to be dealing with spam as well as we can hope. Sorry Russia and Ukraine, but you are now completely banned from viewing this site. Thanks to Russian Spambots we are shutting down user posts and comments for a short while until we figure out a way to get this under control. In the past 24 hours we have received thousands of spam in both sections and can no longer manually control it. In fact, we deleted some unposted actual content thanks to the insanity. We are sorry for the inconvenience and hope to be back to normal soon! If you have any suggestions on how to control this using a Drupal module please email me at jas [at] bitterbalcony [dot] com.